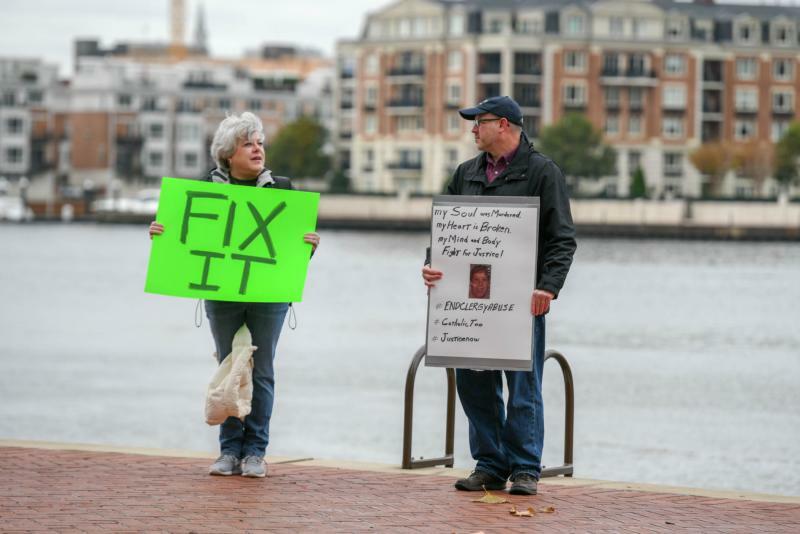 UPDATED – BALTIMORE (CNS) — A group that has been advising the U.S. bishops for 50 years on multiple issues chose to speak to the bishops in Baltimore Nov. 13 on just one issue: the clergy sexual abuse crisis itself and ways to move forward from it. 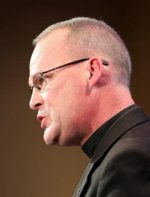 “We are facing painful times as a church,” Father David Whitestone, chair of the bishops’ National Advisory Council, told the bishops at their fall general assembly. This sense weighed heavily upon the council members during their September gathering, he noted. “The depth of anger, pain and disappointment expressed by members of the NAC cannot begin to be expressed adequately in words,” he said. “Wounds inflicted, even many years ago, are no less real because of the passing of time nor are the demands of justice less urgent,” he said. He said the abuse crisis has done great harm to the faith of many Catholics, particularly as it has come to light that the crisis is more than just sexual abuse committed by priests but predatory behavior of bishops against seminarians. The priest said Catholics should demand more of the clergy, deacons, priests and bishops than that they simply not break civil laws. The response to this crisis needs to be more than issuing statements of regret and even establishing new mechanisms and procedures, he said, stressing instead that there should be a “new and radical recommitment to personal and institutional purification” and true repentance of past sins and facing consequences of these sins. All 35 voting members of the committee attending the September meeting agreed that the current scandal is of such urgency and importance that it must be the highest priory for the bishops’ fall assembly to begin to restore trust and credibility. Retired Army Col. Anita Raines, an NAC board member, said the group approved of some action items the bishops were only discussing at the assembly and now not voting on as per a request from the Vatican’s Congregation for Bishops. In particular, the advisory group supports the development of third-party system that would obtain confidential reports of abuse by bishops, Raines said, as well as the development of a code of conduct for bishops; an audit of U.S. seminaries to investigate possible patterns of misuse of power; establishment of special commission for review of complaints against bishops; and an independent investigation of allegations against Archbishop Theodore E. McCarrick, former cardinal-archbishop of Washington. Father Whitestone stressed that while the advisory group recognizes the significance of this scandal in the church it also knows that the church is “more than this crisis” and has a mission to continue to preach the Gospel. He said Catholics have gone through a range of emotions as this crisis has unfolded but those committed to the church want to help it move forward. “The bishops needn’t bear the burden of setting the course of the way forward alone.” He said the lay faithful want to help and urged the bishops to let them. “We as a church will move forward,” he added. The speakers received an extended standing ovation from the bishops.